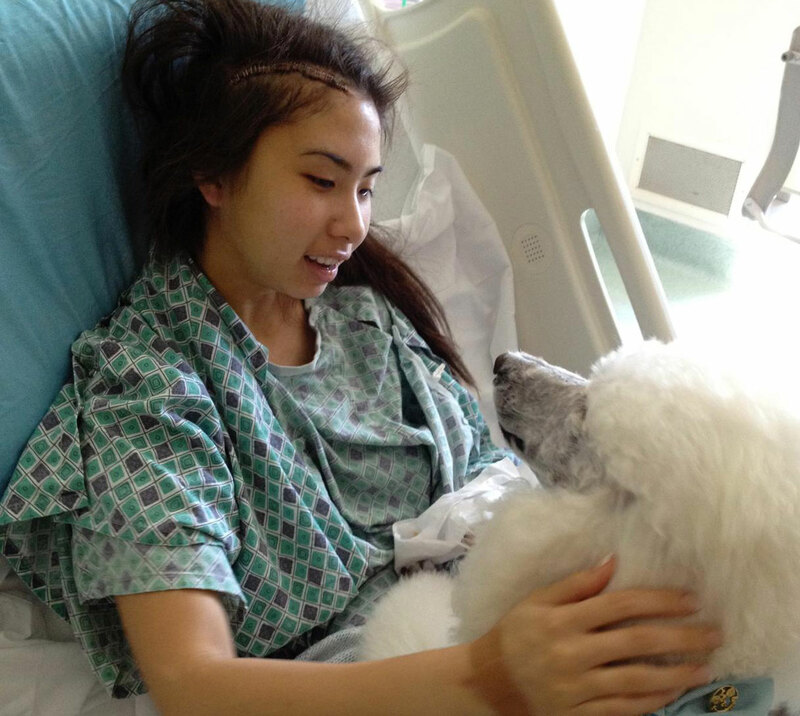 My name is Maya Sycip, I was diagnosed with Brain cancer at the age of 19. The name of the tumor found in my brain was called a “Grade III Anaplastic Astrocytoma” and it was about the size of an apricot. I wanted to be involved in the Underwater Healer About Face because I’ve never done anything like it before and I still have some healing to do of my own. I’m hoping that this will help me heal more from my experience of having cancer. I planned for this photo shoot by meeting with Erena first about a week before the shoot. The meeting was to get to know each other and discuss possible outfits to wear. Erena explained the types of clothes that would or wouldn’t work in an underwater setting, so my chosen outfits needed to reflect those requirements. I knew I wanted to do a dress that would look beautiful under the water as it flowed through it, as well as bright color to reflect a happy emotion. The experience was amazing. It was so quiet and peaceful as if I was in my own world without any worries or problems that often come with being out in the real world. I felt so free in such a serene environment that it was almost like experiences nirvana. Erena was great with guiding me through the process and explaining how certain fabrics would act in the water. This allowed to me to base my positions in the water from her advice. Overall, it was such a relaxed shoot that took away my stress rather than putting it on me. On the way home, I just couldn’t stop thinking about how amazing that experience was. 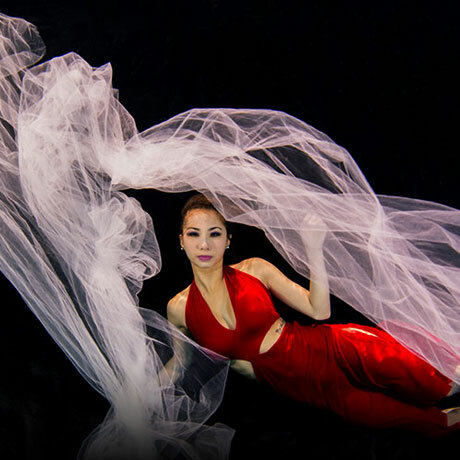 As a scuba diver, I’ve always thought about doing an underwater photoshoot, but never though it was possible; And there I was doing what I had thought was impossible. That night I slept great. I went to sleep happy, content, empowered, and excited to see the outcome of the photos the following day. I would recommend underwater transformation to other survivors, and in fact, everybody because it is such a healing and therapeutic experience. It’s actually one of those moments that is so impactful that it is hard to explain, and must be experienced in order to understand it.